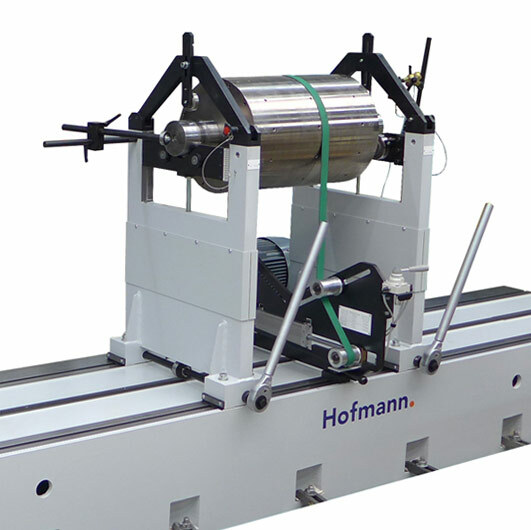 Hofmann’s horizontal hard-bearing balancing machines are used to precisely balance a large variety of roll- or disk-shaped rotors. Based on a modular design they can be adapted to a wide range of balancing applications. Hofmann’s horizontal hard-bearing balancing machines are used to balance from very small to very large rotors. For balancing, the rotors are supported by their own bearing journals, mounted to a balancing arbor or balanced as a complete assembly. Rotor applications include electric armatures, spindles, rotors from fans, generators, turbines or compressors as well as rolls or crank shafts. 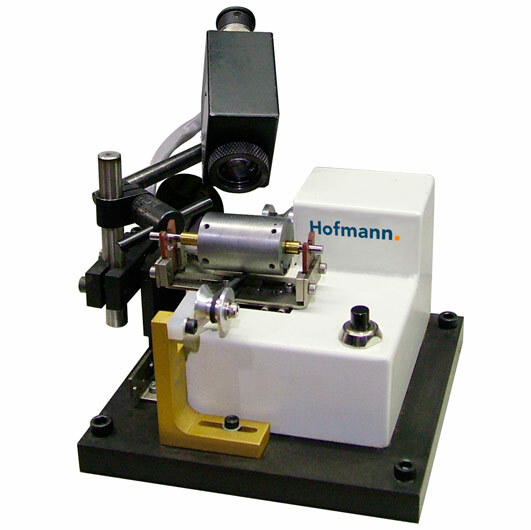 Hofmann’s horizontal hard-bearing balancing machines are characterized by their high availability. Their permanent calibration ensures simple machine operation. 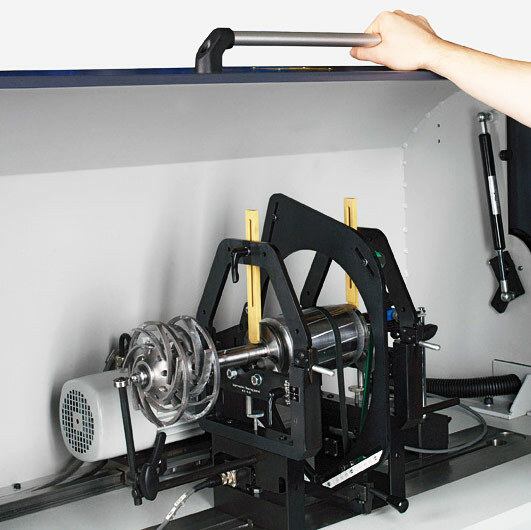 The special Hofmann force measuring principle provides high measuring accuracy. With diverse available expansion options like reinforced bearing pedestals, a more powerful drive and specific software solutions, even simple flexible rotors can be balanced up to their operating speeds. Available integrated unbalance correction systems make the balancing process even more efficient. Customized safety concepts increase machine safety. 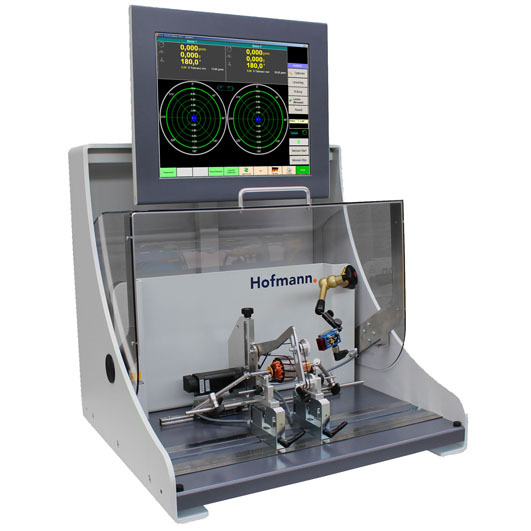 The Hofmann horizontal, hard-bearing balancing machine R-7.1 is used for high-precision balancing of very small rotors up to a max. weight of 200 g – like dental drill turbines or armatures from miniature electric motors. The Hofmann horizontal, hard-bearing balancing machine H-9.1 is used for high-precision balancing of small to very small rotors up to a max. weight of 5 kg. The Hofmann horizontal, hard-bearing balancing machines H-11.1 and H-12.1 resp. are used for high-precision balancing of various small rotors up to a max. weight of 20 kg and 50 kg resp.. The Hofmann horizontal, hard-bearing balancing machines H-13 through H-34 are used for high-precision balancing of various small to very large rotors with a max. weight up to 100,000 kg.